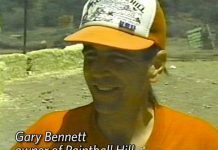 Gary Bennett's Paintball Hill, in Northern California, was awarded Paintcheck's field of the year in '92 for operation and attendance. 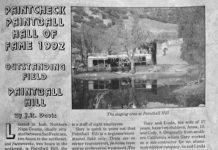 A later patch from Paintball Hill in Pope Valley, Northern California. 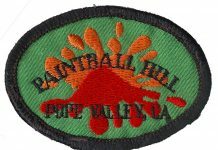 This patch came from Clegg Robinson of the Lizards of AHHS, a home team to Paintball Hill.